So basically Rich snippets are like business card for web pages. They are short , concise summary of the page which is machine readable. Rich Snippets are important because they help in improving the CTR and it also help search engine in better understanding of your pages. If you are a local business , rich snippets can help you with increasing the local seo rank. In our previous post about rich snippets, we briefly covered how to add rich snippets to a wordpress blog. In this post we will cover 5 wordpress plugins in detail. Choosing the right plugin is critical, especially for something as critical as rich snippets. A lot of parameters like popularity, support and functionality were taken into consideration while compiling this list. This plugin adds rich contact information to your wordpress website. The plugin adds a Rich Contact Widget which can then be placed anywhere on your website. It is a simple plugin. It does one things and does it well. This plugin can be especially useful for local business owners who might want to add their contact information in a microdata compatible format. This plugin has around 16,200 downloads as of writing of this post. A quick look at the support forums reveal that developer is quick to respond to the queries. This is one of the more comprehensive plugin. It covers rich formats for Item Review, Events, People , Product, Recipe, Software Application and Videos. The way it works is that it adds a Rich Snippet Meta box to a post / page editor. So whenever you create a page, you can easily add rich information to describe the Page / Post in question. Creating a snippet is as easy as filling up some details. A quick look at the support forums show that developers are good at responding to support requests. The plugin is fairly popular and has amassed 9,000 downloads till the writing of this post. 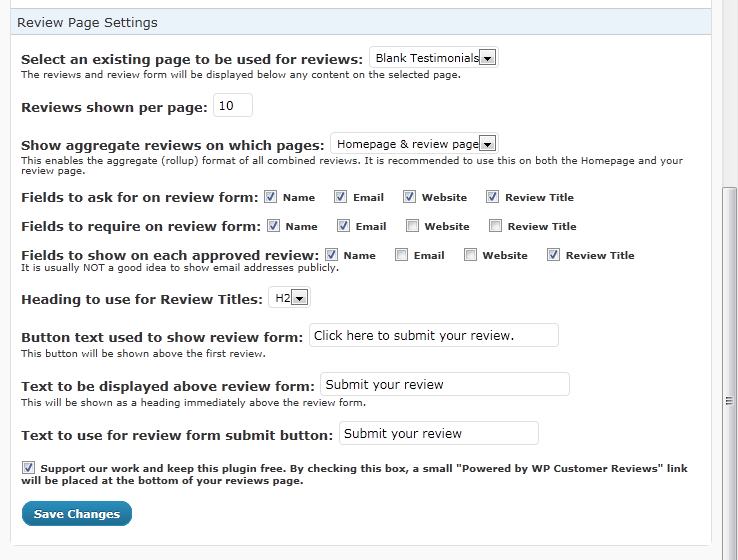 This plugin allows author to add rich rating and review to their wordpress website. In addition it also displays an information box on the product page itself. If you keep reviewing products on your blog, this might be the plugin to go for. It allows for basic customization. Admin can customize the placement and color of the rating widget. Take note that this plugin does not support user submitted reviews. At the time of writing the plugin has around 24000 downloads and a very high rating. Developer is quick to respond to support requests. 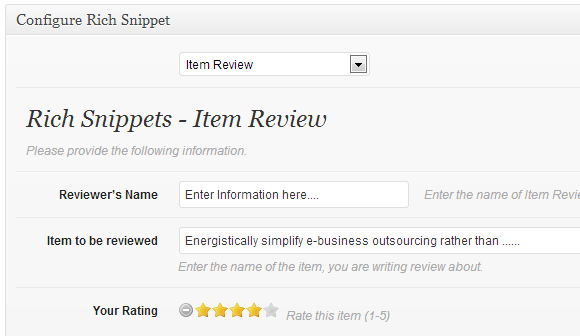 There is also a premium version which provides more features and control over the layout of the review box. If you want users to submit reviews in a micro-data compatible format then this plugin can be a good choice. It allows users and readers to leave reviews on posts and pages. The way it works is that it adds a Review Form to any post / page. This create a review from with each post and a user can leave reviews. Admin can moderate reviews just like they moderate comments. It supports both Business and Product hReview types. Its a powerful plugin and support seems to be good but there is an immense scope to make the interface more friendly. The current settings dashboard is kind of ugly. It is an immensely popular plugin. At the time of writing it has around 110,000 downloads. Another popular plugin for letting users vote on your pages and posts. It has rich functionality and even allows to limit votes based on the IP address .The reviews are outputted in the review microformat. The plugin inserts a Star Rating Shortcode in your post editor. It lets users vote by rating the post / page in question. 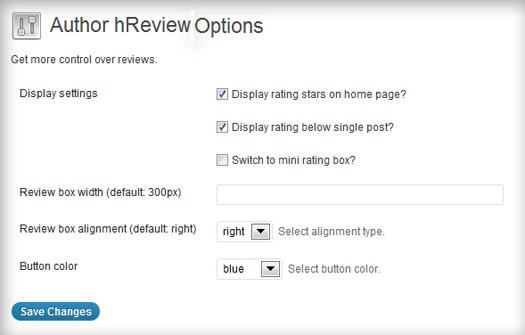 Unlike WP customer reviews, this plugin does not add a Review form, it only allows for Star Rating. It does have some nifty customization options like selecting star color, selecting number of stars etc. 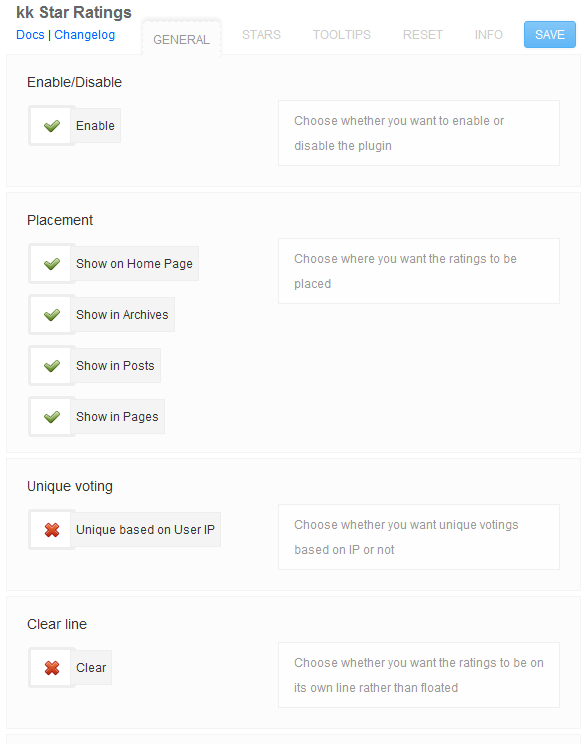 In case you require a simple plugin to enable star rating on your pages, then this might be the plugin to choose. As of writing this post, it has amassed almost 50,000 downloads. A quick look at the support forum show that developers generally responds within one business days for all queries. Did I miss any plugins? Let us know in the comments.